Say what you will about Indiana Jones And The Kingdom Of The Crystal Skull. Seriously. Go ahead. We’ve got time. Done? Alright, so obviously you guys aren’t all that fond of the fourth Indiana Jones movie. That’s understandable. Objectively, it feels like a sad attempt at cashing in on an old franchise from filmmakers who long ago lost the ability to create the sorts of films that made them famous in the first place. Unfortunately, according to producer Frank Marshall, it looks quite likely that Crystal Skull will go down in history as Indy’s final adventure. “I say, for me, [Kingdom of the Crystal Skull is] the last hurrah,” Marshall told Collider in a recent interview. “I know that yes, we talk about it, but there’s no idea, there’s no MacGuffin.” This follows relatively hot on the heels of George Lucas’ claims that he has a story in mind and had been bouncing it off of Steven Spielberg, but that they still had to come up with a viable object of interest for Indy to chase throughout the fifth movie. Conveniently, Lucas’ replacement at LucasFilm is Kathleen Kennedy, a woman who just happens to be Frank Marshall’s wife. As a result, when Marshall claims that Lucas isn’t terribly interested in making another Indiana Jones flick, we have to assume he knows what he’s talking about. “Yeah, no he isn’t [hungry to do another Indiana Jones]. And he’s obviously passing the baton to my wife, so…” Marshall said. 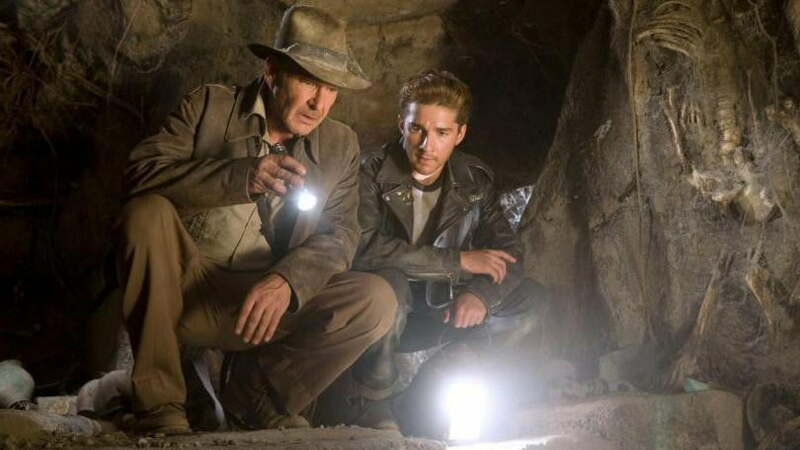 It was inevitable that the Indiana Jones series would eventually end — it’s hard to root for an action hero who qualifies for Social Security benefits — but we doubt fans are going to be too keen on the character’s exit note. Just remember boys and girls: Lucas created the Indiana Jones series and is well within his rights to ruin things in any way he sees fit. That said, the man isn’t holding a gun to your head, forcing you to watch Crystal Skull for days on end. If you’d prefer to forget that the film ever happened and instead consider the series to be a trilogy, you’ve got our support.